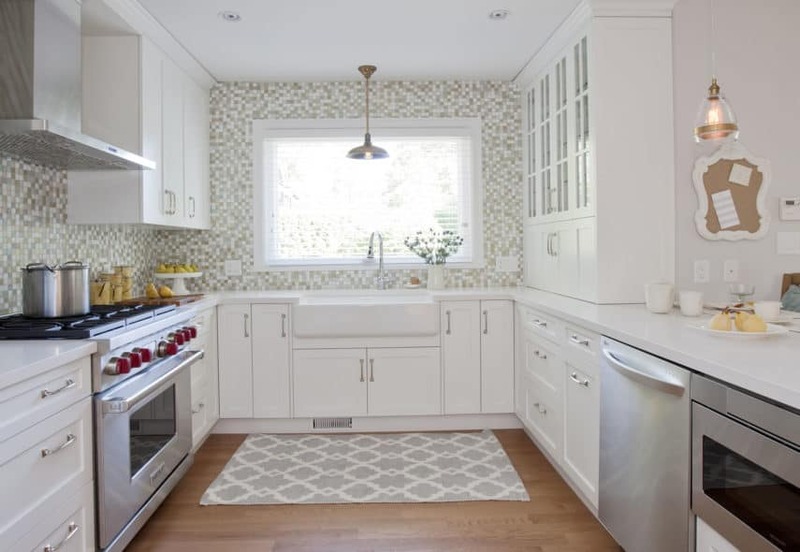 Debora & Paul | Love It or List It Galleries | Merit Kitchens Ltd.
High on Jillian’s ‘to do’ list was modernizing their home – updating the furnishings and creating a more functional layout. Entertaining is very important to Paul and Debora – storage and a warm, inviting and functional kitchen were key deliverables. Additional Features: Wall counter cabinets that sit on the countertop feature charming French Country glass doors above that provide depth and create a space to display decorative wares. Small appliances are concealed behind the solid doors along the bottom of the wall counter cabinets. The large farm sink creates a focal point for the kitchen and crown moulding creates a 'bridge' over the range and hood area, enhancing design continuity.